"Let's hope those that have had the faith to breed middle-distance horses are rewarded"
The yearling sales merry-go-round is in full swing, and virtually every day for the next couple of months buyers and sellers will make momentous decisions in the theatre of the auction ring. Those decisions will be based on many theories and views, and not a few prejudices. In this world of untried horses, no-one knows which will outrun another. 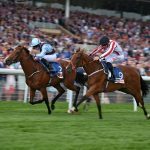 Comments from Mark Johnston and others on how they assess and value horses they intend to purchase have made fascinating reading. Thank goodness for differences of opinion and the fact that, as yet, no-one has managed to find an infallible test that defines ability and temperament in untried yearlings. It means that sale price is no guarantee of success, and both the most expensive or the cheapest racehorses can reap rewards. This inevitably means that, in the majority, such purchases reflect the fact that agents have to pass on the horse to a client and ultimately his or her trainer. Taking another example, who I am sure will not mind me saying he is from the old school, David Elsworth has bought yearlings for many years and been very successful with them, from such as his dual Goodwood Cup winner Persian Punch, who cost 14,000gns, through the Hardwicke Stakes winner Indian Creek (46,000gns) to his latest stable star Sir Dancealot (€30,000). There are not many trainers like David, Sir Mark and Mark Johnston who can take that calculated risk, and whereas in times past owners and trainers were the prevalent buyers at the sales, nowadays trainers are mostly too busy and owners less knowledgeable about conformation or not at the sales, so they have become more reliant on agents to do the donkey work for them. This inevitably leads to those horses that pass the ‘agent test’ being more sought-after than others, while the converse tends to leave vendors frustrated when a good-looking yearling is passed over by agents who will not buy a horse with a particular issue, even though there have been many successful racehorses who have raced with a similar problem. Every time the subject of conformation – or lack of correctness – comes up, it is worth remembering, as Mark Johnston pointed out in the Racing Post article, the example of Attraction. She never came on the market, but despite having crooked legs she still managed to go through her first seven races unbeaten and was retired to a hugely successful stud career with ten wins from 15 starts, including five Group 1s. 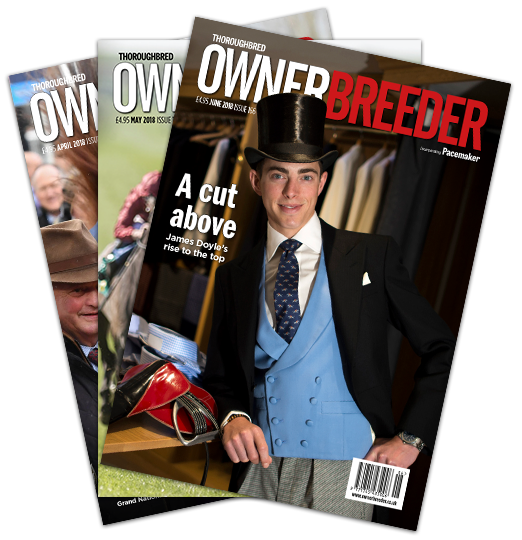 Pedigree and less precocious types are another issue, so the TBA’s initiative on stayers – and the publicity surrounding it – and industry support for races that reward later-maturing horses ought to mean that yearlings bred not just for instant speed should find ready buyers. Shades of Persian Punch again, for although he won three times as a three-year-old in his first term, he had his best season as a ten-year-old. By now agents, owners and trainers should be well aware of the boost in prize-money and greater opportunities for middle-distance horses. Let’s hope that those that have had the faith to breed them are rewarded for that faith. Following fashion is expensive and so buying the less fashionable stayer may just be the way to find a good horse who has not caught everyone’s eye. I wish all vendors and buyers the best of luck at the sales and on the racecourse in the future.